Wedding envelopes are the extensions of wedding invitations. Even though they are only extensions, they are a big part of the actual wedding invitation design. One cannot function without the other and the invitation definitely looks better if its placed inside an envelope. The function of wedding envelopes are not only limited to being placeholders for invitations. They also serve as memories from the wedding day that you share with the newlywed couple. They can also serve as souvenirs if they are beautifully made. If efforts are expended on creating the invitation, equal efforts should also be made on the envelopes. 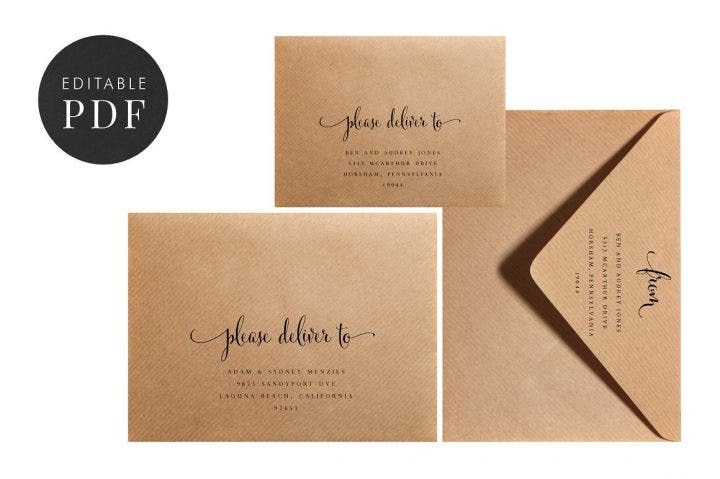 Here are the best and very affordable wedding envelopes around the web. This is probably the most basic function of a wedding envelope. As in every letter, envelopes make sure the contents don’t get scattered. They keep everything in place. Wedding envelopes are extensions of the invitations and have their own designs as well. Envelopes keep the contents tidy, especially for very creative wedding invitations where numerous objects or materials are attached. This is where envelopes come in handy. Additionally, for weddings that require their guests to bring the invitation, the wedding envelopes serve as the invitation’s perfect protection from accidental dirt and water splashes. There are also attractive invitations that are foldable envelopes themselves and are only tied using ribbons. It doesn’t matter if it’s a formal or casual wedding, envelopes look elegant and match any attire worn by the guests (it can sometimes be mistaken as an accessory). The significance of a wedding event to the couple and to their families calls for special moments, and it begins with a special invitation design. Envelopes made specifically for weddings use special paper with a single color, although there really is no color requirement for wedding envelopes. 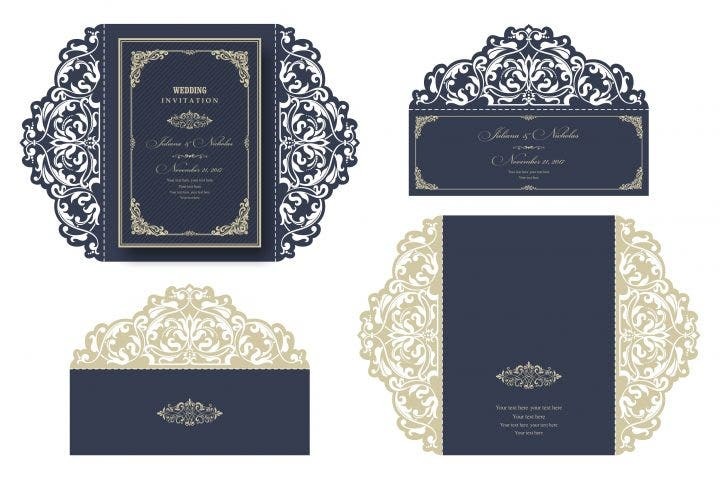 Together with the invitation, they are magnificent to look at and guests will surely appreciate a beautifully designed invitation and envelope. 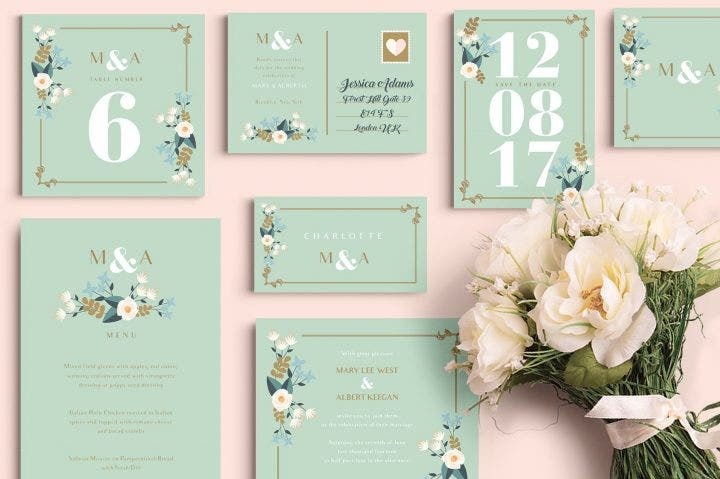 Wedding invitations probably have the most elegant designs for any event, aside from formal private parties, so it is only fitting that they match the importance of the event. Guests complete the wedding celebrations. Even if its only celebrated with a few family members or friends, the most important factor is that the couples celebrate their union with the people that matter most. Not only are the guests given priority in the actual wedding itself, they are given importance when the invitations are handed out. Invitations placed in well-designed and well-made envelopes signify that the guests are as important as the soon-to-be married couple. Invitations are not given to all the couple’s friends and family, only to a select few. Even if only select people are invited, they should still be given priority through the invitation (and envelope) especially for the principal sponsors, bridesmaids, groomsmen, and other persons who play a big part in the couple’s lives. Invitations are the guests’ first glimpse of the wedding so they need to be carefully designed so that the guests will not only appreciate the invitations, but go into the wedding in a happy and festive mood. Beautiful invitations together with their envelopes can be collected as souvenirs. They can serve as reminders of great wedding day memories for all attendees. Usually, weddings have their souvenirs which are handed to guests after the reception. But invitations can feel more intimate since they are crafted with care and the guests’ names are attached to each invitation, making them more personal. Furthermore, invitations are not only to be kept in the “memories box” but can also be used as a guide when you will have the chance to make wedding invitations for your own wedding, or a friend or family member’s wedding. 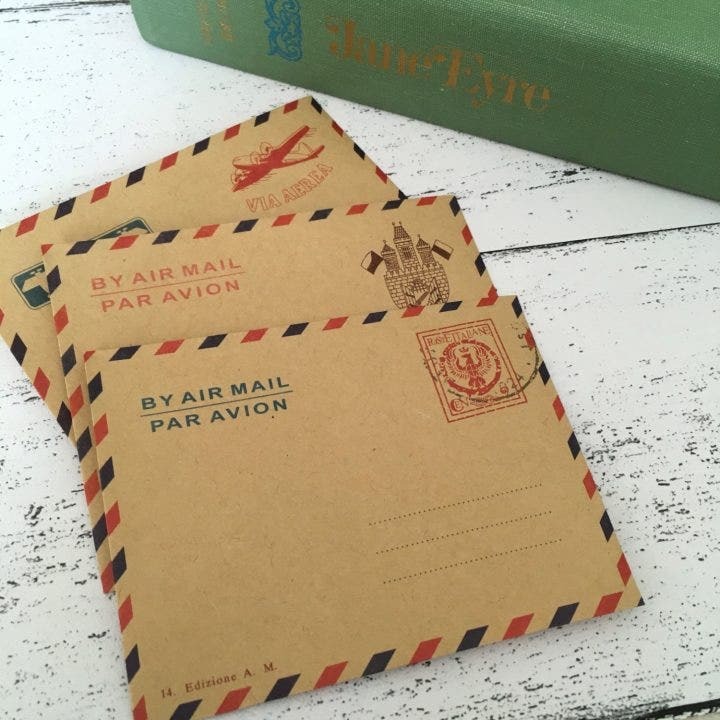 Even old wedding invitations placed inside envelopes which are starting to stain are nice concepts to use for future weddings, as it evokes the feel of classic vintage designs. 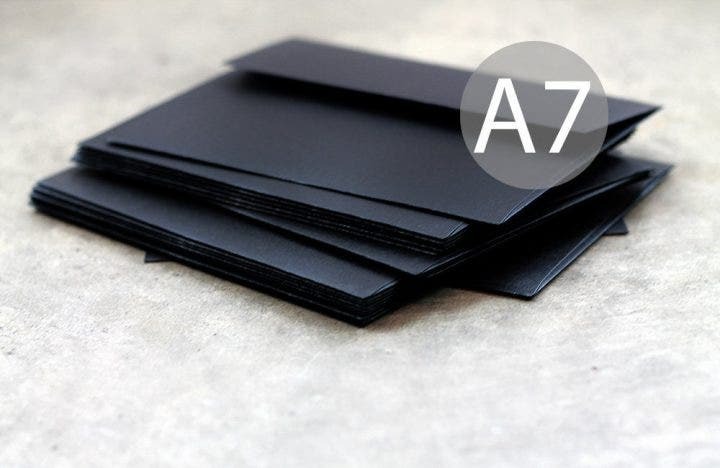 Neutral colors like white or black are common envelope colors and are used in various wedding invitations. But it also should be noted that black and white are not the only colors you can use for the envelopes. Cream as a substitute for white and grey as a substitute for black are good alternatives, but the actual color still depends on the color of the invitation itself. 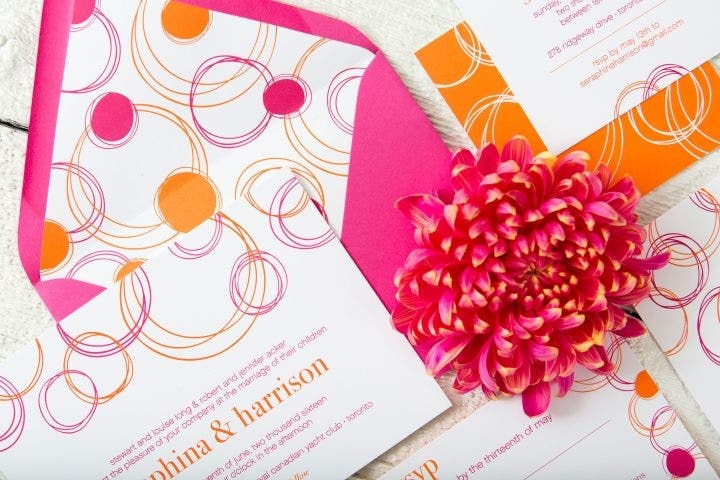 Contrasting colors can also be applied and it makes for a good invitation design. 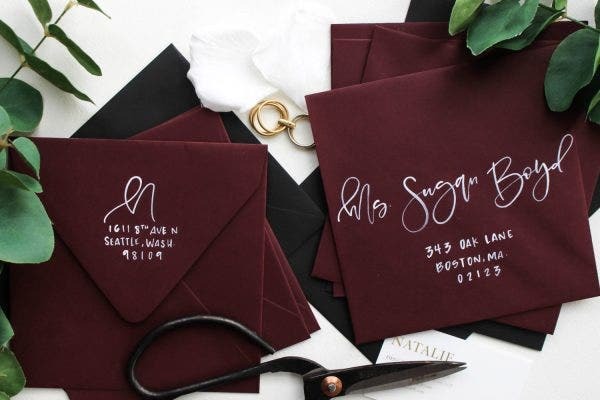 A white or black envelope pairs nicely with any color, but the perfect combinations for white or black are either blue, purple, red, maroon, or gold. If you are planning to go with multicolored envelope designs, make sure it doesn’t overpower the actual invitation design. Attention still needs to be drawn to the invitation as it shows the details of the wedding ceremony and reception. 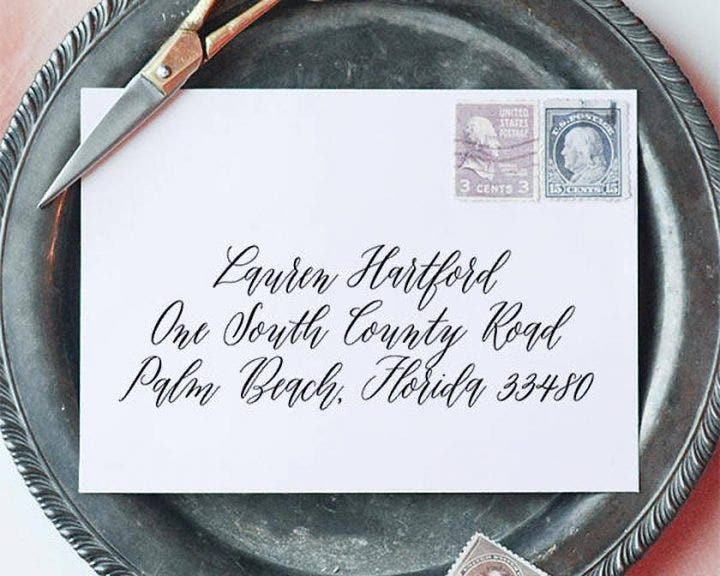 The last thing you want to do is add so many designs to the envelope that you have nothing left but text to add to the invitation. Writing on envelopes can be a daunting ask. One small typographical mistake and you waste the entire piece. You don’t only make sure the pen is sharp, but the envelope’s surface should also be easy to write on. 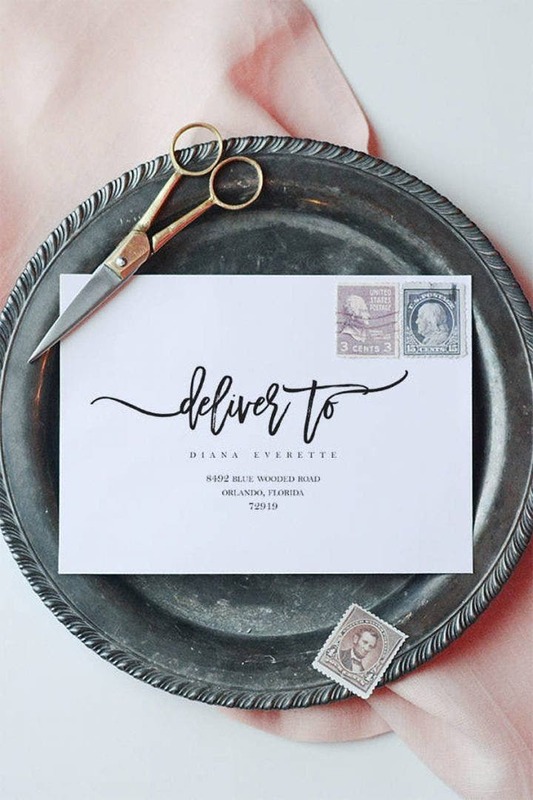 Once you’ve printed the final invitation designs, your options are to write the recipients’ names and other wedding details on the envelope, or you can print these out instead and attach them to the envelope. Printing and attaching are easy, but writing it personally with a pen places the invitation on a personal level and the handwriting itself has a more natural effect. Make sure when you choose the wedding envelope, design isn’t the only thing that needs to be considered, but the envelope’s material should also be considered. Having the right envelope size will do wonders for the wedding invitation. Make the envelopes fit in a pocket, but don’t make them too small as they may get easily lost. Do not make them too big, either. Find the right envelope size that can be held using a few fingers. Now that you know the ins and outs of envelope designs, are you ready to make your own?